Would you like a way to manage your Twitter contacts or LinkedIn connections with a few clicks? Do you want your new blog content to be auto-posted to a range of social networks? We all work hard on social media to make sure we keep our accounts busy and up to date. … Zapier is one of the ways this kind of automation can take place. Zapier is a tool that connects one service to another service, linking them together so that tasks can be automated between them. 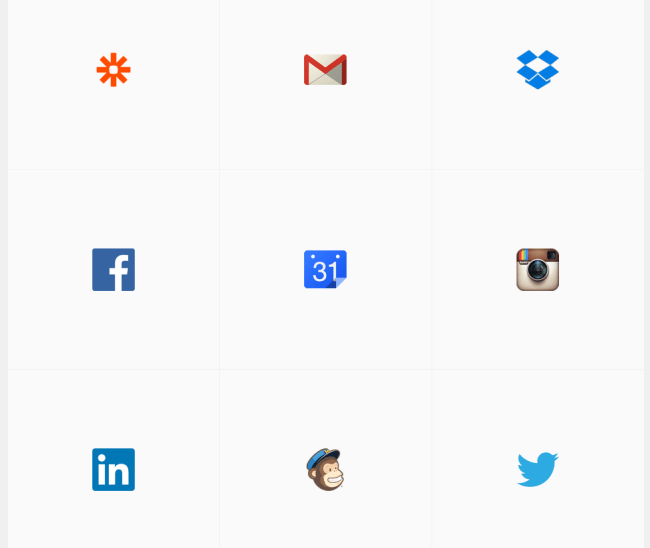 Zapier is often compared to IFTTT, because they both work in a similar way. 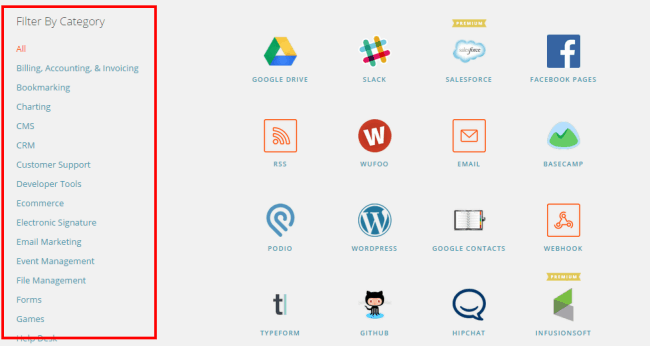 In IFTTT, you use ‘recipes’ to connect one service or product with another, and in Zapier, you use ‘zaps’. When you first register an account with Zapier, you will be asked to connect various social networks and other online services (called ‘apps’) to your account. These will be the basis of the ‘zaps’, or connections, you set up later. You get to choose up to nine services, and there are over 400 available in total. One by one, you pick the service you want to connect, then go through authorization with that service. The list of apps to choose from is very long and things aren’t always in the order you’d expect them to be! Fortunately, you can search as well as scroll, so if you can’t find a site you would expect to find, try the search box instead. Here are the nine we first set up with. The next thing to do is to turn on some zaps. You can create your own zaps, by clicking ‘Make a zap!’. But, to save time, there are hundreds of zaps that users have already created that we can just sign up to. It is quicker and easier and there are tons to choose from! Go to Explore and select the networks and channels you have connected to your Zapier account. By default, they are sorted by ‘Most Popular’. This makes it quite difficult to find some of the apps you want to connect to. Instead, you can sort them in alphabetical order, or choose that have been added the most recently. You can also sort the channels by category, choosing from topics in the left-hand column. 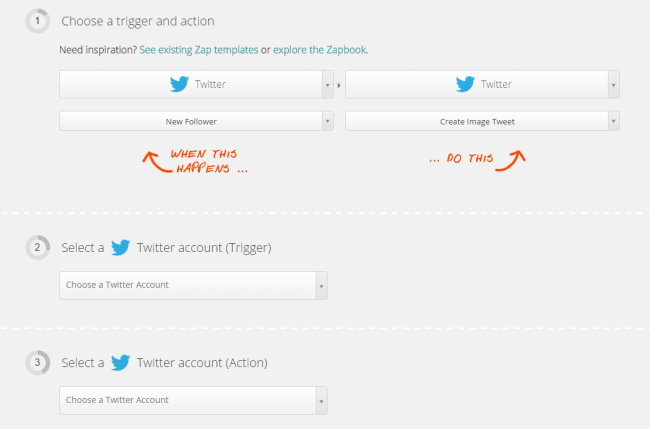 … Or, if you specifically want to create actions for one or two channels, just select those for the time being. When you find a zap you want to use, and turn it on, you will be asked to personalize how it works for you. So, for instance, if your zap will end with the tool posting to Twitter on your behalf, you get to choose what content that tweet will contain. The amount of customization will vary, depending on the tools and networks being used, but you can always test the zaps you put up so that they are working correctly. This means that, although it takes a few extra minutes to set it up, your zaps will work in exactly the way you want them to. Some of the most monotonous work involved in social media marketing is the need to share updates with a range of networks. Buffer is a tool that allows users to share posts with lots of different social networks, like Twitter, Facebook, LinkedIn, Google+ and now, even Pinterest. One zap can take every update from your Facebook Page and adds it to the Buffer queues of your choice. This makes it a great way to post content to one network and have it distributed, on your own schedule, to your others. One of the benefits of Zapier is that you can add more than one Facebook Page. With this zap, you can share an update with one of your connected Facebook Pages and have it automatically posted to another. This zap takes your Facebook Page updates and automatically shares them with your LinkedIn audience. When Instagram postings are auto-shared with Twitter through the Instagram app, they show up as a link rather than a native Twitter image. Because of this, the image is visible in the Twitter post, which attracts a lot less attention. This zap lets you share your Instagram images with your Twitter followers so they can see the photo without clicking a link. If you have two Twitter accounts and you like to retweet the content from account A to account B, this is normally something that has to be done manually. With such zap, however, you can identify all tweets from account A (that aren’t already retweets) and automatically retweet them from account B. This is another example of the benefit of being able to connect different accounts from the same networks in Zapier. Share your Instagram updates with more people by enabling this zap that posts them as photos to your Facebook Page. Don’t limit your Instagram images to Instagram itself. Make sure they’re seen on all your networks by adding them to your Buffer queue. If you’re involved in video marketing on YouTube, you’ll want to make use of this zap, which allows you to automatically add every new video to your Buffer queue. Now that YouTube has removed its connection to users’ Facebook accounts, you will want an easy way to share your YouTube videos directly to your Facebook Page. With this zap, you can do exactly that. If you prefer Vimeo, there’s a zap for that, too! When you have new content on your blog, you will want to share it out to your social networks. Share new WordPress posts to your Facebook Page. If your website is not with WordPress, there similar zaps that you can set up with RSS feeds, such as sending new RSS items to Facebook, Twitter, LinkedIn, or Buffer. While posting new blog posts and updating your social media feeds is important, the most valuable aspect of social networking is the relationships you can build. Most of this can’t be automated because it’s about human-to-human contact. However, there are some relationship-building tasks that can be managed automatically by Zapier, and these can save you a lot of admin time. This means that you can, instead, spend on more important tasks. It is a good idea to keep track of any people or brands that talk about you on Twitter. Doing this will help you to build solid relationships and identify potential brand ambassadors to interact with. This zap makes sure that every time somebody mentions you or your brand on Twitter, it is added to a Google spreadsheet. As well as including the account and the content of the tweet, you can even ask it to add details of the date and time of the tweet, the number of followers the account has, their location, and a link to the tweet. This makes it a brilliant way to gather information about people who are proactive about mentioning your business. Keeping on top of LinkedIn connections can be time consuming, but this zap makes it easy, in Gmail. If somebody emails you and you want to invite them to make contact on LinkedIn, all you do is add a pre-chosen tag to the email, and their invitation will be sent. This is kind of the opposite of the last zap! With this one, you can add your LinkedIn connections to your Google contact list, giving you more ways to get – and stay – in touch with them. If you want to build great relationships with the people on your email list, this zap automates the sending out of LinkedIn connection invitations to people who subscribe to your MailChimp mailing list. 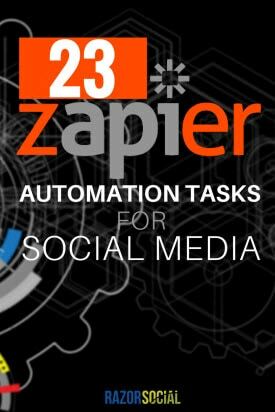 The zaps we have mentioned above are great examples of the power of Zapier to automate repetitive social media tasks. Once you have set them up, you can forget about them and get on with using your freed-up time for more productive work. There are many more available on the site, and Zapier also has a beginner’s guide available to download. With Zapier, we particularly like that you can connect more than one account for each network. Creating zaps between Facebook Pages or Twitter accounts is great for people managing more than one of each. You can use Zapier with limited functionality (a total of five zaps and 100 tasks a month) for free. Other plans start at $20 a month, where you can work with premium apps and get a higher number of zaps and tasks per month. 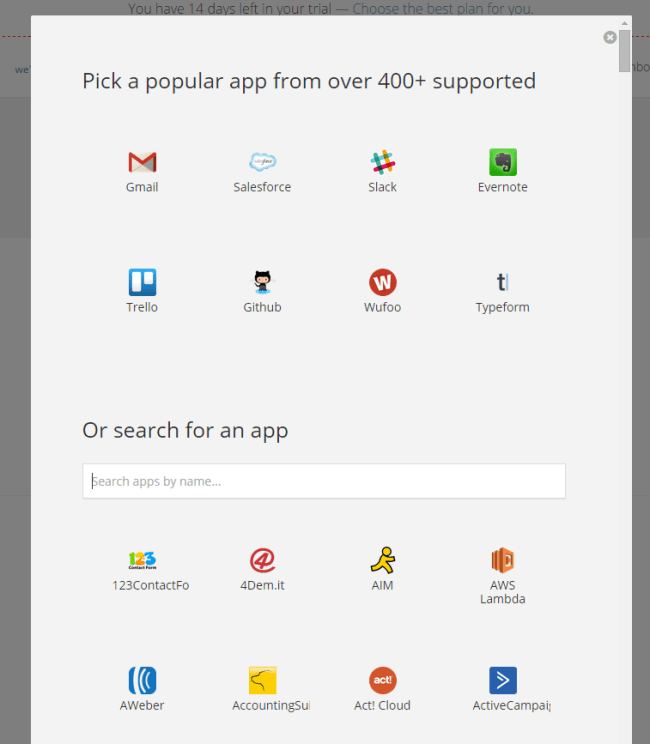 Do you use Zapier? Which zaps will be the most useful for you?